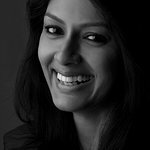 Nandita Das, one of India’s well known actors, has a string of powerful performances in films like Fire, Earth, Bawander, Before the Rains and many other films. She has acted in over 30 feature films, in ten different languages, with directors of international repute like, Deepa Mehta, Adoor Gopalakrishnan, Mrinal Sen, Shyam Benegal, Mani Ratnam, and others. Nandita’s involvement with charitable work began fairly early in life when she did her Masters in Social Work from the reputed Delhi School of Social Work. Following this formal training in social work she worked in non-governmental organisations in different parts of India. She worked as the project coordinator in ‘Ankur’, a non-governmental organization, working towards of empowerment of women; and as a trainer in ‘Alarippu,’ a voluntary organization where she conducted workshops for children and teachers, in innovative education. Causes close to her heart are issues of sectarian violence, which was also the topic of her directorial debut feature film, “Firaaq” in 2008, violence against women, issues of child rights, stigma concerning HIV/ AIDS and disability. She has also directed public service ads on Water Harvesting and Education. Nandita is passionately involved with various Civil Society organizations and movements, and is often seen at the forefront of voluntary causes and social advocacy. In a unique combination of her profession and her need to give back to society, in 2003, Nandita supported the International Special Film Festival along with Brotherhood, an organization that works towards bridging the gap between children with physical disabilities and those without. In January 2005, when the Tsunami hit parts of Asia, she was actively supporting NGO’s working for rehabilitation of affected persons in the Galle area of Sri Lanka, one of the worst affected areas. The same year she also participated in the Mumbai Marathon to raise awareness and funds for ‘Aman Biradri,’ an organization working towards peace, justice and harmony. She is actively associated with “GiveIndia”, an organization which screens and vets “accountable” and “trustworthy” charities and that makes it easy for persons to donate online via their website. In September 2009, she was a major driving force in the “Joy of Giving Week,” which was a campaign coordinated by GiveIndia to encourage the culture of giving. Nandita in the past has been nominated as a Spokesperson for (UNDP) United Nations Development Programme. She has been very active in Indo-pak peace initiatives is a Member of the South Asians for Human Rights (SAHAR) that has been active in creating dialogue among the civil society of South Asia. Nandita has been a speaker in various Universities, NGOs and social forums, both in India and abroad, on issues of social concern. She is also a prolific writer and has expressed her anguish, opinions and concern on numerous social issues through her writings in print media and on her website. Google trends for "Nandita Das"
We don't have any news stories about Nandita Das. We don't have any videos related to Nandita Das.